Electronic Games become Spectator Sports - Plunkett Research, Ltd. It was bound to happen sooner or later: the lines are beginning to blur between the electronic video games, which are typically played at home, and professional spectator sports as watched on TV or in stadiums. Today, professional and semi-pro electronic games are attracting viewers in the millions, many of whom pay for the privilege. Global revenue for spectator eSports could easily reach $1.5 to $2.0 billion by 2020.
eSports action can be found live, on TV and streaming on the internet. In late 2014, Amazon acquired Twitch Interactive, Inc., an internet video channel for broadcasting and watching people play games. The price was nearly $1 billion! Sports arenas and other entertainment venues are hosting sell-out e-Games tournaments. College campuses in the U.S. are joining eSports leagues. Turner Broadcasting System partnered with WME/IMB to establish a league for videogame players and fans, intending to utilize prime-time television. Games industry giant Activision Blizzard launched The Overwatch League which sells tickets to fans who watch teams competing at live events, as well as TV broadcasting of this competition. eSports are in the mainstream on college campuses where teams are competing in tournaments for money and other prizes. In April 2018, teams from more than 500 colleges competed in the second annual Activision Blizzard’s Heroes of the Dorm championship which was streamed on Facebook. Players for Laval University each won full tuition for the remainder of their college careers. Riot Games, Inc. runs tournaments in which 116 teams compete worldwide, and each of those teams has at least one coach on staff, with salaries of between $30,000 and $50,000 annually. In 2018, the National Federation of State High Schools Association recommended the addition of eSports to U.S. high schools’ list of official extra-curricular activities. Special stadiums dedicated to eSports games are being built around the world. In mid-2018, the city of Arlington, Texas broke ground on a 100,000 square-foot complex named Esports Stadium Arlington. This is a logical investment by the city, as it is already the home of the stadiums of both the Texas Rangers MLB team, and the Dallas Cowboys NFL football team. A firm called Allied Esports International has planned or opened several eSports stadiums, including locations in the U.S. (California and Las Vegas), as well as cities in China and Germany. 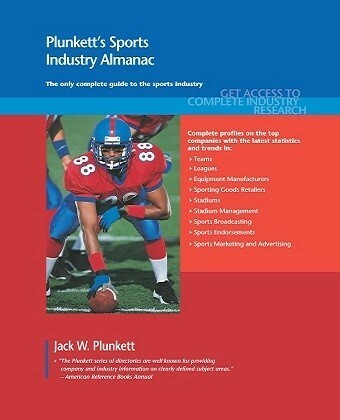 For those of you who want to keep up with the latest trends and statistics in eSports and electronic games, as well as traditional professional sports and leagues of all types, Plunkett Research has published two terrific new 2019 edition Industry Almanacs. These are complete market research reports, including forecasts and market estimates, technologies analysis and developments at innovative firms. 1) Plunkett’s Sports & Recreation Industry Almanac, 2019 edition. 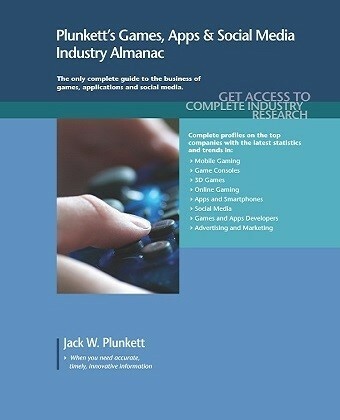 2) Plunkett’s Games, Apps & Social Media Industry Almanac, 2019 edition.